Did you know that a customer who has made a purchase at your business has a 60% chance of making another purchase? Imagine all of the items you could check off your restaurant wish list if you could get 60% of the customers who purchased something at your restaurant today to come back a second or third time. Once a guest has exited your restaurant, it's time to focus on ways to stay top of mind. According to The White House Office of Consumer Affairs, it is 6-7x more expensive to acquire a new customer than to keep an existing one, making customer retention one of the most financially smart business investments you can make as a restaurant owner. To get your restaurant customer retention strategy off the ground, you need to invest in a tool to power it: a restaurant CRM system. A restaurant CRM platform that integrates directly into your POS system will help you stay in touch with guests, personalize your messaging based on their behavior and preferences, and help you keep them coming back time and time again. What is A Restaurant CRM System? Collect and store information about your guests, including buying behavior, dietary restrictions, birthdays, and contact info. Stay in touch with your guests about important updates, events, etc. Send personalized promotions, discounts, and rewards based on their buying behavior and preferences. Restaurants who have an integrated CRM system enjoy the benefits of having everything in one place, allowing them to make better decisions about how they market their business, to whom, when, and for what reason. 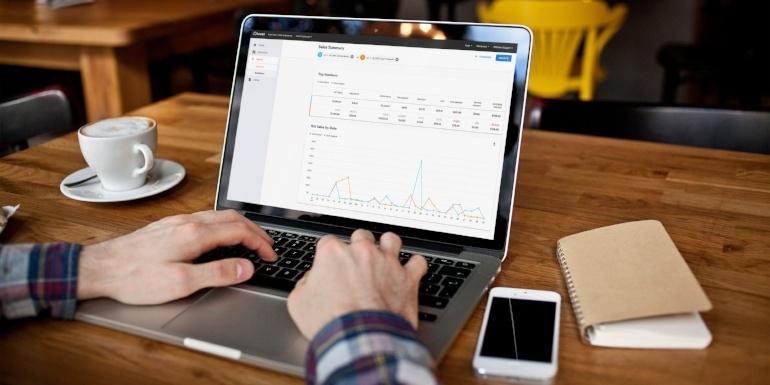 Here are three of the biggest benefits of investing in an integrated Restaurant CRM system. Many restaurants don’t realize how much information they have about their customers because it's not organized properly. It's common for a restaurant to have a point of sale system, a loyalty program, and an online ordering vendor, all of which are independently collecting information about customers. This disjointed experience is hurting your restaurant and holding you back from connecting with customers in a targeted, personalized manner. When your restaurant CRM system integrates into your POS system, all of the fragmented data you were once stuck with is now neatly compiled in one central location, allowing you to create a detailed customer database that includes multiple data points including sales history, visit history, and more. Now, if a CRM system truly integrates with your POS, the stored customer insights you have access to won't be limited to in-house guests only. If you host your online ordering and delivery services through your POS system, for example, the data you have about those who have used these services will be stored alongside the information you have about guests who have physically come in to your restaurant. Customer insights are valuable, and it's important to treat them as such. You'll want to make sure the restaurant CRM system you're investing in is PCI compliant; this means the system protects the data its storing in accordance with federal regulations. Check out our post on PCI compliance and restaurants here. Loyalty programs have become more popular than ever as restaurant owners, operators, and managers have recognized the importance of customer retention as well as customer acquisition. When your restaurant CRM system directly integrates with your restaurant point of sale system, a restaurant loyalty/rewards program becomes easier to promote, manage, and grow. For example, you can identify your highest spending and most loyal guests via your restaurant CRM data, then target them with marketing campaigns that both show your appreciation and encourage their future patronage. This will allow you to take advantage of the points pressure mechanism, a phenomenon where a rewards program participant's spending will spike as they get closer to redeeming a reward. Certain integrated restaurant CRM systems, like the one available through Toast, allows customers to sign up for your restaurant's loyalty program whenever they give payment. Now, anytime a guest participating in your loyalty program pays with their credit or debit card, the loyalty points will automatically be associated with their contact history in your restaurant's integrated CRM system. The main reason you're investing in a restaurant CRM system is to learn more about your customers, how they engage with your business, and how you can better engage with them going forward. For that reason, you'll want to invest in a restaurant CRM system that not only collects guest information, but makes it easy to break down and analyze this information as well. This way, you can segment your data to show who's buying what when and use these insights to power personalized marketing campaigns that engage guests with promotions they actually care to use. To brush up on the importance of targeting when marketing to restaurant guests, check out our post How To Entice Your Restaurant's Target Customer. For example, the data within your CRM system could be used to find all of the customers who have ordered a particular brand of beer or wine; that list can then be used to drive attendance to a promotion event you may be hosting with the brand in question or to encourage visits if you've found you have excess inventory on hand. 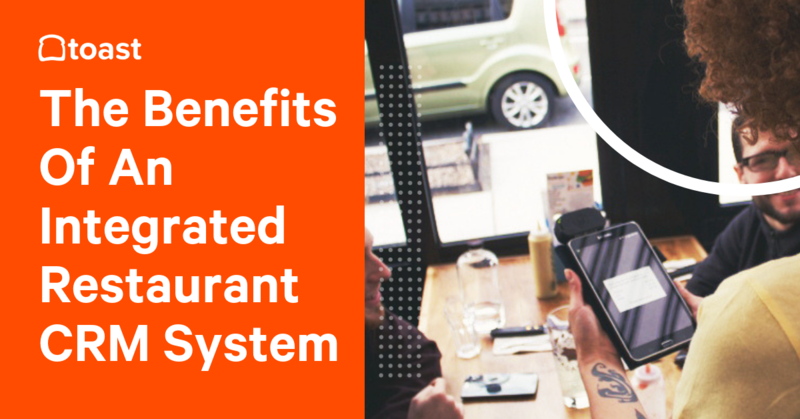 The benefits of a restaurant CRM system are undeniable and the ROI palpable. With the right tools in your back pocket, rebooting your guest experience and turning every guest into a repeat guest is well within your grasp. 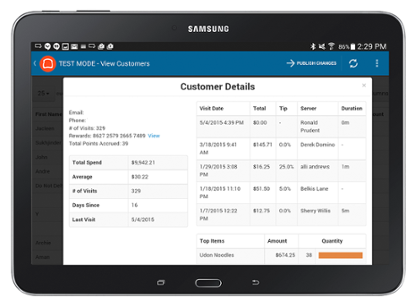 Schedule a demo today to learn about how to use customer analytics to shape your restaurant operations strategy.